How do you know when an organization is excelling in providing quality patient care? It receives national awards, of course. Okay, I can admit this may not be the most scientific way of identifying those organizations setting the standard for care excellence. But there is something to be said for learning about the organizations receiving recognition in this area. Examining the work that earned awards may inspire your organization to emulate the project or undertake a new endeavor. Here are five projects that recently won national awards from well-respected bodies for efforts focusing on improving the delivering of quality patient care. The Children's Hospitals' Solutions for Patient Safety (SPS), a network of children's hospitals in the United States and Canada, received a 2018 John M. Eisenberg Patient Safety and Quality Award from The Joint Commission and the National Quality Forum for its efforts centered around advancing the culture of safety across the network. engage patients' families to help identify effective practices. The results: "Participants have reported sustainable change in their organizations through the collective efforts of the network, including an improved safety culture at the organizational level." An estimated nearly 10,000 children are spared from harm during their hospitalization. Another 2018 Eisenberg Award winner, LifePoint Health in Brentwood, Tenn., was recognized for its National Quality Program. The program was developed in collaboration with Duke University Health System to help ensure consistent, high standards of quality and patient safety across the organization. As a LifePoint press release states, the program is built on patient-centeredness and "focused on leadership that empowers people, proven systems of performance improvement and a culture of safety. This initiative has helped create a highly reliable culture of safety and drive enhancements across the LifePoint system." pneumonia decreased 73% from 2010 to 2017. NYC Health + Hospitals/Bellevue in New York received one of the 2017 Stand Up for Patient Safety Management Awards from the National Patient Safety Foundation (NPSF) for a program that uses text messaging to improve the management of adult primary care center patients' insulin-dependent diabetes. The program was developed by the organization's primary care diabetes team to address a significant challenge facing many patients with insulin-dependent diabetes, according to a press release from NYC Health + Hospitals/Bellevue. Patients were struggling to find available time to visit the clinic and have their insulin dose adjusted. The solution employed: the Mobile Insulin Titration Intervention (MITI) text messaging program. As the press release notes, "Patients in the program receive a text message each morning requesting their morning fasting blood sugar level. Patients text back their results and the values are monitored daily by nurses, who call patients once weekly to advise them on an insulin dose titration using a validated dosing algorithm." The winner of the other 2017 Stand Up for Patient Safety Management Award was the Christiana Care Health System, based in Wilmington, Del., which was honored for its Carelink CareNow program. The program, which also earned a 2017 Eisenberg Award, uses an IT system and dedicated care coordination team to help optimize outcomes. The results have included a noteworthy reduction in readmissions, according to an NPSF press release. Christiana Care describes is program as follows: "Carelink CareNow harnesses an IT technology platform that integrates all available sources of a person's health data. 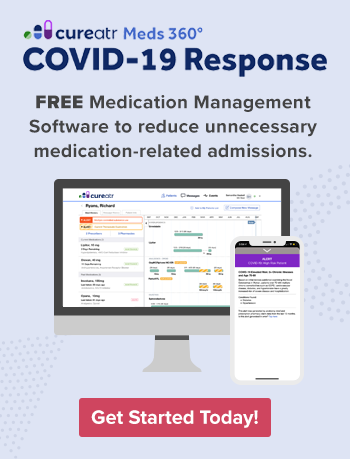 … This information is integrated into care coordination software that supports Carelink CareNow's interdisciplinary team in providing care coordination services to providers and their patients. Carelink CareNow identifies the patients who are at highest risk and who have significant care needs. 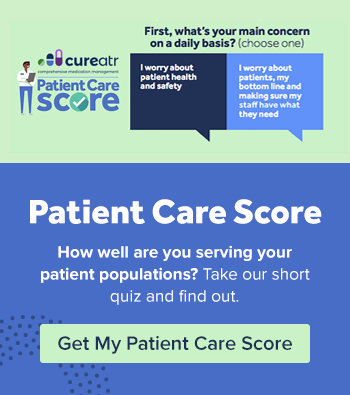 … Understanding who is at risk for poor health enables clinicians to proactively reach out and connect individuals to the health services they need." Northwell Health in New Hyde Park, N.Y., is the 2018 recipient of the American Hospital Association Quest for Quality Prize, which "seeks to increase understanding of the value of organizational focus and commitment to achieving quality health care and advancing health in communities." Northwell Health received the award for multiple initiatives focused on tackling social determinants of health and empowering its workforce to help develop solutions for the health and social challenges facing its diverse patient population, according to a press release. Partnerships with public health, nonprofit, and government organizations that have resulted in free clinics, veterans' services, behavioral health services, and preventative health care education. A "shark tank" approach to employee engagement that provides funding for implementation of staff inventions and initiatives. Employee resource groups assigned to different population subgroups (e.g., African-Americans, Chinese, Latinos, Koreans, LGBTQ, military veterans) to help improve health care delivery decision-making. Note: Interested in learning about other organizations receiving recognition for their efforts around providing quality patient care? Research past winners of the awards highlighted in this blog and other national awards (e.g., Malcolm Baldrige National Quality Award, Sherman Award for Excellence in Patient Engagement). There are also many other types of awards concerning quality and safety, such as those from state hospitals associations (e.g., Minnesota, Kentucky). You may find reading about these winners good sources of education and motivation.